25MHz or 33.3MHz MC68882 floating-point coprocessor. VMEbus Cache Monitor for software transparent cache operation. 64Kb of zero wait state physical cache. Write-posting interface for fast writes to system memory. Two 32-pin, JEDEC standard socket for ROM/PROM/EPROM. One 24-pin, JEDEC standard socket for a 2K x 8 NVRAM/Time-Of-Day Clock. 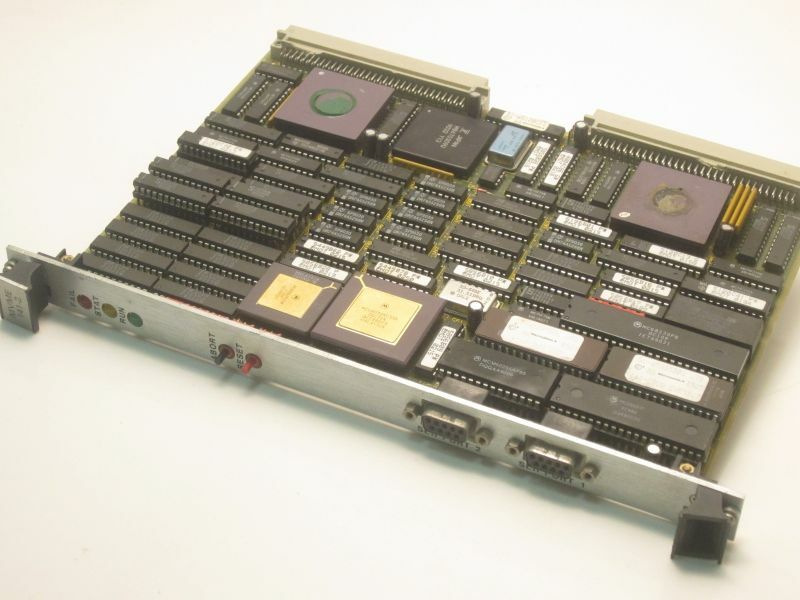 One 28-pin, JEDEC standard socket for 32K x 8 Static RAM. Two, front panel, RS-232C serial communications ports (MC68681). - VSB System Controller with bus arbiter. - VSB requester with programmable timeout module. - Block transfer module with byte count register. - Status and Controller Register. - VMEbus System Controller with 4-Level Arbiter. - VMEbus A32/A24/A16, D32/D16/D08 Master Interface. - VMEBus 7-Level Interrupt Handler. - Multiprocessor Control and Status Registers.